Candy Apple is a fresh, fun take on fiction for girls: a new line of single titles with pep and pizzazz targeted at the solid middle-grade reader. Kaitlyn is the top babysitter in Marshfield Lake...until super-sitter Nola moves to town and starts stealing Kaitlyn's clients away. 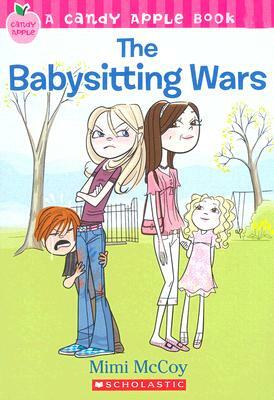 Now this isn't just babysitting, it's war The Ultimate Babysitting Gig, at the house of the richest family in town, is at stake. How far will Kaitlyn go to defend her turf?